I liked Mean Girls. 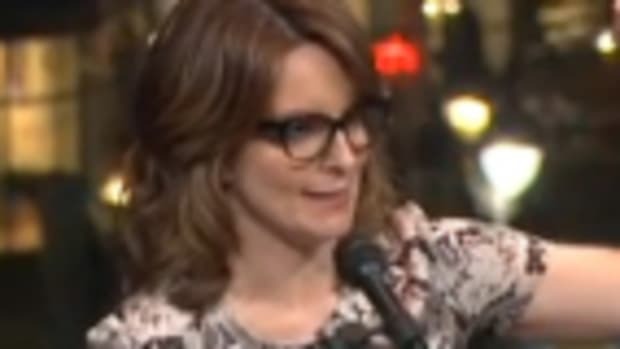 I think 30 Rock is one of the funniest shows currently on TV, but Tina Fey seems to want to compare SNL and The Daily Show. The problem is, Daily is consistently funny. 4 nights a week with multiple laugh-out-loud segments per episode. With SNL you&apos;ve had a good week when you get one or two truly funny skits. The guest host can make a big difference (for instance last week Jonah Hill - who is normally funny - was atrocious in the way he had to constantly read the cue cards, just look here), but overall the quality of the show really stinks. I haven&apos;t found the recent Clinton-Obama skits funny at all, and that&apos;s not because I&apos;m an Obama fan. I love Al Gore, but I loved the way they&apos;ve made fun of him in the past. It&apos;s just not funny now. The skits, as usual, go on way past the time they should - they don&apos;t know how to end it. And some of the worst years were under Fey. She does great work in other venues, but not SNL.